Mojito take pride in arranging unique, memorable & cost effective parties, activity weekends & events in the North West & North Wales. Working with exclusive suppliers & securing fabulous rates means Mojito’s packages stand out in originality as well as price giving you complete peace of mind. Established in 2009, Mojito is now nearly 7 years old and going stronger than ever. Based in Cheshire, Mojito have extensive knowledge of the areas/destinations in which we work. We have lived, worked, studied & partied hard in each & every location giving us vast local knowledge, local expertise & great contacts ensuring you & your group experience only the best when you travel to any of our destinations. Mojito have their finger on the pulse when it comes to new venues, new apartments, the newest bars and clubs & new activity sites ensuring you & your group experience only the best! The people we work with are fundamental to the success of Mojito as a business & key to ensuring you have the best experience ever. Our suppliers are therefore not only selected on their range of activities, facilities or services, they are also chosen on their professionalism, group-friendliness, flexibility, location, reputation, relevant insurances & their fab personalities. 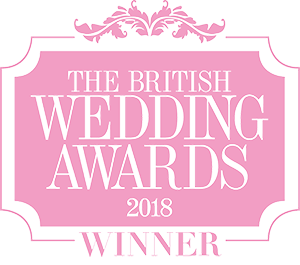 We only work with the best suppliers possible to make sure your experience is memorable for all the right reasons and as we work with these fabulous people week in, week out, we can also assure you that they will look after you every step of the way. Unlike some similar companies, Mojito have no minimum or maximum numbers policy. We will arrange parties, weekends & events for any group of any size. Our pricing policy is transparent, we have no hidden costs or charges & our booking process is clear & simple. Most importantly, our prices compare very favourably to other similar companies. This is largely due to the excellent relationships we have with our local suppliers who give us exclusive rates & discounts which we obviously pass on to you…ensuring you get great value for money. Mojito understand that trying to arrange a group weekend, event or party can sometimes be a tough task. We appreciate that your group size may alter from the time you book to the time you pay your balance. Unlike some similar companies, Mojito will not charge you for making any amendments to your group size (there are a few exceptions to this rule where minimum numbers may be required for the activity to take part but you will be advised of this at the time). If you are booking a package with accommodation, Mojito are able to provisionally ‘hold’ your accommodation for you now with no deposit required, giving you complete peace of mind that you get the fabulous accommodation that you want. Many of our most luxurious & popular apartments can get booked up 6 months in advance so we strongly advise doing this ASAP. For hen, stag & group weekends, a small non-refundable deposit of just £10 per person will secure your booking which we will require within 7 days of making the provisional booking (for exclusive properties, this deposit maybe more but this will be made known to you when we send your quote). We recommend that you book for the maximum number of people that may travel in your group to ensure and guarantee availability. Obtaining a small deposit from other members of the group will also help you gain commitment from them. The balance will be due 6 weeks before your arrival date & the £10 deposit will be deducted from the balance for those that are travelling. Once you have made your provisional booking with us, we will create your own on-line ‘Mojito account’. This will give you on-line access to the details of your party/booking (times & basic details) but more importantly our fantastic on-line ‘event payment system’. This allows all your guests to log on and pay individually meaning you don’t have the stressful task of collecting money from everyone (which is often the hardest part of organising ANY group event). Your friends can pay on-line & they can even spread the cost by paying instalments with a debit/credit card*. The system will send reminders to your guests by text or email to let them know when payment is due, it couldn’t be easier. And if you do have anyone in your group that isn’t internet friendly, don’t worry as they can always pick up the phone to us to make their payment! Mojito appreciate there are many reasons why you may wish to change your itinerary or details of your weekend. Mojito will not charge you to make these changes unless we have prepaid for any element of your event or weekend or made a deposit payment on your behalf. You will be notified of any payments made on your behalf & once these payments have been made, they are non-refundable (please see our terms & conditions for more details). Mojito will endeavour to confirm any changes or amendments within 24 hours of your request being received. Mojito ensure all our suppliers we work with have all the relevant insurances meaning you have complete peace of mind when you book with Mojito. Whilst personal holiday/travel insurance is at your discretion, Mojito would always recommend that each individual takes out relevant travel insurance to cover you against cancellation, damage or loss of belongings & personal injuries….just in case! Mojito complies to the Travel & Tour Regulations of 1992 (this is a legal requirement of ANY business selling a ‘package’), are fully insured & have public liability & professional indemnity insurance. Whatever the occasion, Mojito ensure that we pull out all the stops to make your event, party or weekend with us that little bit special. Don’t be surprised if we spring a wee gift on your hen or stag or a round of drinks for you all…..we’re just nice like that! We will ensure that your weekend exceeds your expectations & runs like clockwork. Your business is important to us but it is more important that you enjoy yourselves & come back to Mojito again! Every single guest will receive one of our loyalty cards which will entitle them to a £75* discount off ANY future Mojito booking.